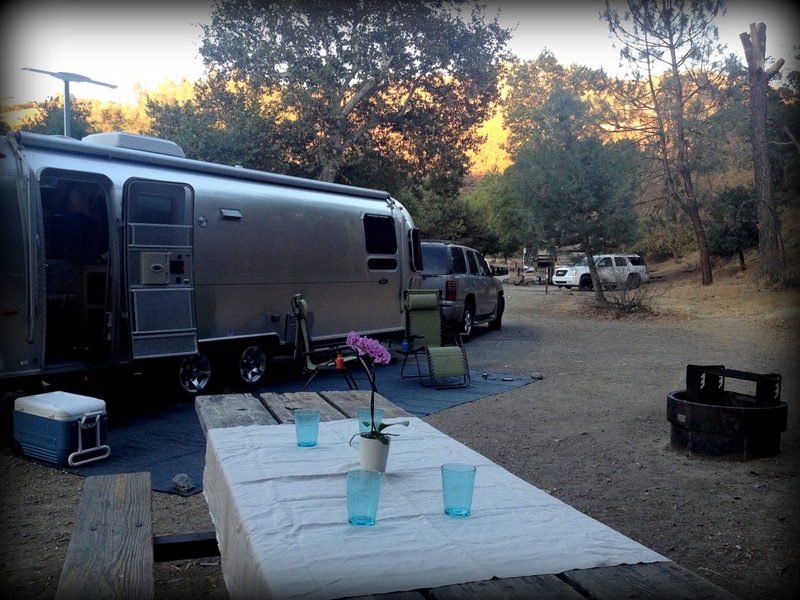 We chose Lake Del Valle for our maiden voyage in the Airstream. 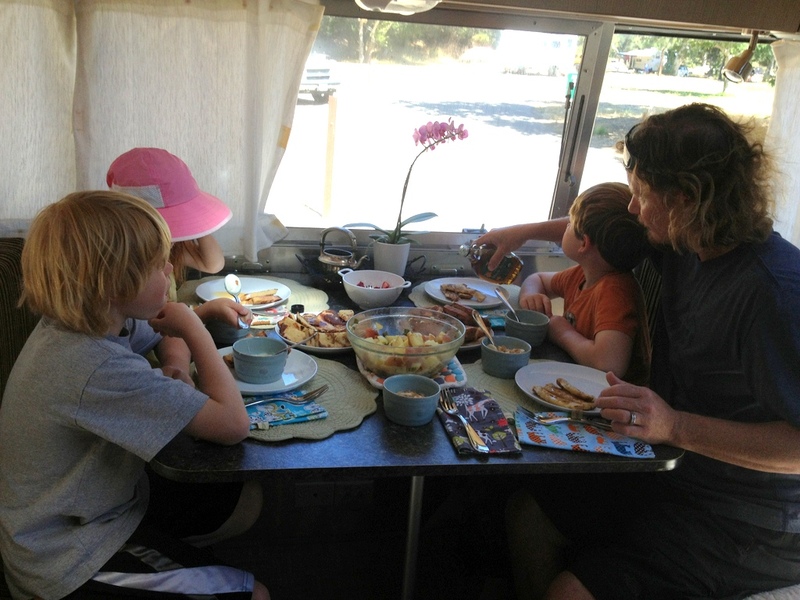 It is a family and dog friendly camp with full hookups, pull throughs and lots to do. The lake has a boat launch and boat rentals from canoes, paddle boats, row boats to deluxe pontoons. Separate from the boating side are two man made beaches with life guards and lots of picnic spots. Dogs are not allowed down on the beaches. There are also a ton of hiking trails and hike in/boat in tent sites. 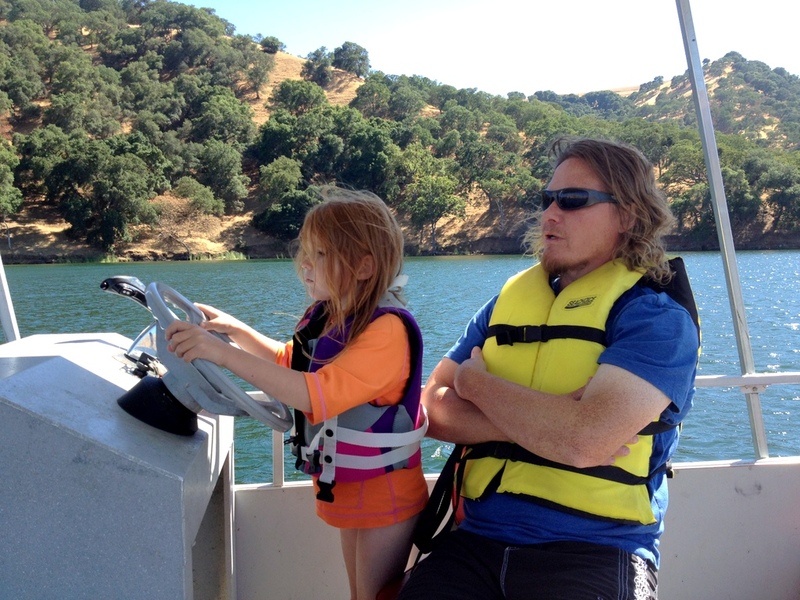 After a little research and driving the roads first via google maps, we headed to Livermore to camp and boat for 3 days. It was a lovely drive and the only surprise was the steep incline up and down into Del Valle. Relieved again to see that with a full load of stuff, kids, and the dog the Denali handled the incline easily up and down. It was reassuring to note that we had indeed hitched correctly as the Airstream stayed nicely behind and went which ever way we went. The camp entrance also had a very, very narrow gate and tight turn. So happy that hubby was able to adjust accordingly and our trailer made it through without damage. The camp itself in the middle of July, was not at all beautiful. It was dry, everything was dead and dusty with some tree cover. There was a field in the middle of the camp with some grass that the kids used for playing tag with other kids. Frisby, paper airplanes and ball games were also played in that space during our stay. The hookups were in good working order and the bathrooms were fairly clean. The rest of Del Valle was lovely and we spent most of our days in the rest of the park, swimming at the beaches, hiking the trails and using the boating facilities. 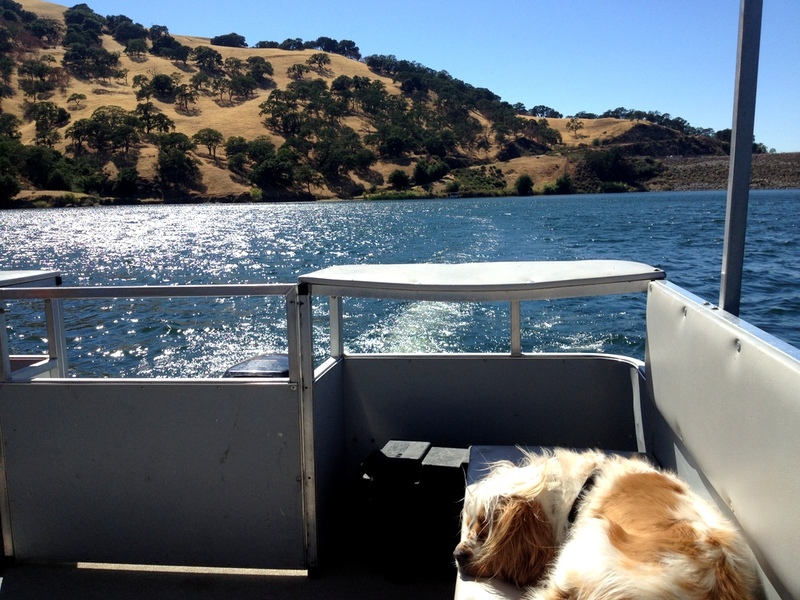 Even our dog Lady was able to be with us in the boats we rented. 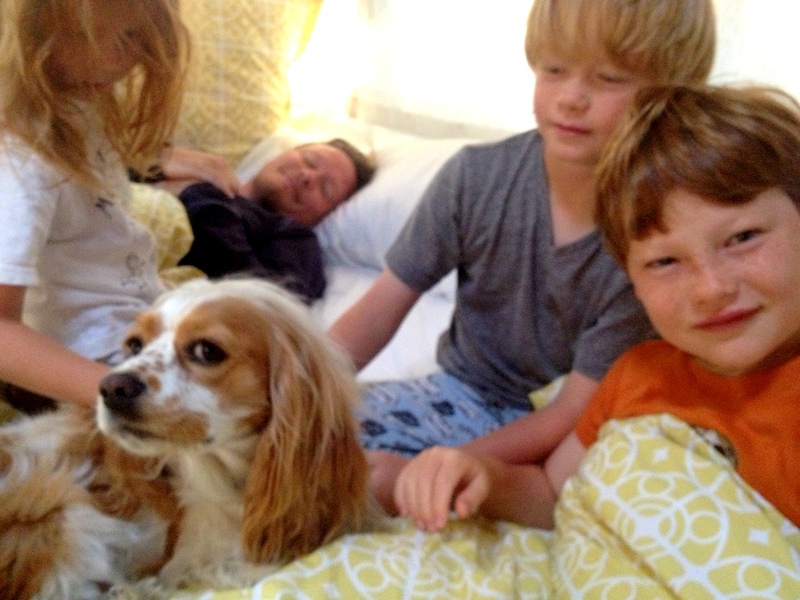 The kids did very well on our first trip and we learned a lot about how to live together in a very small space. We cooked in the kitchen, showered and used the bath facilities in the trailer. We also figured out how to make up enough beds for 5, where to eat and how best to take care of Lady. It was a lovely time. The kids wanted to stay longer and we left having felt more relaxed about our Airstream and how to travel in it with our first trip successfully behind us. Looking forward to many more adventures to come!